Established as the first collegiate business school in 1881, Wharton played a crucial role in transforming the study of business from a trade to a rigorous and respected profession. Here are a few of the milestones we celebrated along the way. The world’s first business school research center, the Industrial Research Unit, is established, marking Wharton’s shift to a strong interdisciplinary approach to research and engagement with the business community. Wharton establishes Securities Industry Institute, the first and longest running custom executive program among business schools. Wharton launches the first MBA program in Health Care Management, considered one of the world’s best. Offering more course electives in health care than any other business school-based program, Wharton introduced undergraduate and PhD programs in health care management in the mid-1980s. With the creation of the Wharton Entrepreneurial Center, Wharton is the first business school to offer a fully integrated program in entrepreneurial studies. Wharton and Penn Engineering launch a new joint-degree program, now the Jerome Fisher Program in Management and Technology, the first undergraduate program of its kind. Wharton launches LEAD (Leadership, Education, and Development Program), introducing talented minority high school students to the world of business. The program now serves 500 students a year at seven top universities around the U.S. The Joseph H. Lauder Institute of Management and International Studies offers the world’s first MBA/MA program in international management. Wharton is the first business school to establish International Executive Advisory Boards, today advised by senior business leaders on three boards — Asia; Europe, Africa and the Middle East; and Latin America. Wharton and the College of Arts and Sciences create the first integrated undergraduate global business program, now the Huntsman Program in International Studies and Business. Knowledge@Wharton is launched, the first web-based journal publishing business analysis and research from a business school to thought leaders around the world. Wharton creates the first doctoral program in legal studies and business ethics. Today Wharton offers nine PhD programs in every business discipline. Business Radio Powered by the Wharton School begins presenting 40 hours weekly of unique live programming on Sirius XM satellite radio as the first business school radio station. The Penn Wharton Budget Model (PWBM) launches as a non-partisan honest broker at the intersection of business and public policy providing rigorous analysis without policy advocacy. Wharton’s global network begins with the first five graduates, among them Shiro Shiba, who returns to his native Japan for a career in the Japanese parliament, and Robert Adams, Jr., who later becomes U.S. ambassador to Brazil. Through a Wharton fellowship, W.E.B. DuBois undertakes his classic study of the social and economic conditions of urban blacks. DuBois goes on to co-found the National Association for the Advancement of Colored People (N.A.A.C.P.) in 1909. The landmark Transportation Act of 1920 is enacted into law, privatizing and regulating railroads based on work led by Wharton Professor Emory Johnson. A prominent figure in transportation studies, Johnson also served as Wharton dean and special commissioner for the Panama Canal. The Wharton MBA Program enrolls its first class. Professor Solomon Huebner helps shape the future of insurance education with his keynote address on the value of human life as a nation’s greatest resource. Alma Katherine Ledig becomes the first woman to earn a Wharton MBA. Wharton Professor George Taylor, the “father of American arbitration,” ends the first of 2,000 strikes he helped settle. Appointed to serve under five presidents, he is later inducted into the U.S. Labor Hall of Fame. Professor Dorothy Swain Thomas becomes Wharton’s first woman faculty member. Often writing about demography, population redistribution, and economic growth, she served as research director of the U.S Population Studies Center for 11 years. Wharton relocates to Dietrich Hall, the first dedicated Wharton building. The first 15 women are admitted to the Wharton undergraduate program. Professor Howard E. Mitchell becomes Wharton’s first African-American faculty member. As director of Wharton’s Center for Transit Research and Management Development, he helped redesign public transportation systems in Philadelphia and New York City. Professor Irwin Friend leads a milestone study of mutual funds for the Securities and Exchange Commission. A member of Wharton’s Securities Research Unit and later the Rodney L. White Center for Financial Research (founded in 1969), Friend was one of Wharton’s leaders in pursuing empirical investigations in procedural or institutional economics, rather than theory. Wharton’s impact on marketing expands with the introduction of conjoint analysis by Professor Paul Green. This innovative approach to understanding consumer preference becomes one of the most extensively used marketing tools worldwide. Vance Hall opens to house the Graduate Division. The MBA Program for Executives begins. Today the program educates more than 230 participants in Philadelphia and San Francisco per year. Professor Lawrence Klein wins the Nobel Prize in Economics for creating econometric forecasting models that help predict global economic trends. Wharton Finance Professor Jean Crockett is appointed the first woman chair of the board of the Federal Reserve Bank of Philadelphia. Dietrich Hall is refurbished and expanded to become Steinberg Hall-Dietrich Hall. The Aresty Institute for Executive Education moves into the new Steinberg Conference Center and grows to become a global leader in senior management development, now serving 13,000 executives each year. Wharton leads a “wave of change in management education” with the revolutionary redesign of its undergraduate and MBA curricula. Lauder-Fischer Hall is dedicated as the home of the Lauder Institute and the Wharton Real Estate Department and Center. Wharton launches its leadership program, now known as the Anne and John McNulty Leadership Program, which fosters leadership and teamwork in MBA, executive MBA, and undergraduate students through innovative coursework, experiential learning, co-curricular activities, and executive coaching. Wharton’s first Global Alumni Forum convenes in Manila, starting a tradition that expands to annual forums in global locations. In 2017 Wharton celebrated our 50th Global Forum in Hong Kong. Wharton and the School of Nursing establish the undergraduate joint-degree Program in Nursing and Health Care Management, giving undergraduates opportunities for coordinated joint-degrees with each of Penn’s undergrad colleges. Wharton releases its web-based Wharton Research Data Services (WRDS). Enabling easy retrieval of financial and marketing data, it is licensed to 464 top business schools and institutions in 36 countries worldwide with more than 50,000 users. Wharton plays a central role in the development of Singapore Management University, which models in undergraduate curriculum on Wharton’s and establishes a joint Wharton-SMU Research Center. Other business schools Wharton collaborates to launch include the Sasin Graduate Institute of Business Administration in Thailand (1982) and the Indian School of Business in Hyderabad, India (2001). The first Wharton Business Plan Competition winners are announced. The annual event, now known as the Penn Wharton Startup Challenge, becomes a university-wide testing ground for innovative business concepts, including companies like Warby Parker and Common Bond. Wharton announces the creation of a campus in San Francisco, now known as Wharton San Francisco. Through a new alliance with INSEAD, Wharton extends its global resources to campuses in Europe and Asia. Alfred P. West Jr. Learning lab establishes Wharton as a leader in creating technology-enhanced learning tools for 21st century management education. The state-of-the-art Jon M. Huntsman Hall opens with 324,000 square feet, 48 classrooms, 57 group study rooms, lecture halls, auditoriums, and conference rooms to house undergraduate and MBA classes, as well as academic offices. Wharton establishes a publishing imprint, now known as Wharton Digital Press, which publishes actionable books for the global business community. Wharton and the College of Arts and Sciences announce the creation of a new joint undergraduate program, the Roy and Diana Vagelos Program in Life Sciences and Management. Global Modular Courses are introduced, offering intensive for-credit workshops delivered in around 12 countries each year. Wharton Online rolls out online courses, with Wharton becoming the top business school on Coursera. Since launch, more than 100,000 learners have earned 200,000 certificates in 50+ courses. Penn Wharton Budget Model launched as a nonpartisan, research-based initiative that provides accurate, accessible and transparent economic analysis of public policy’s fiscal impact. The Wharton School of the University of Pennsylvania was a remarkable innovation when Joseph Wharton, a self-educated 19th-century industrialist, first proposed its establishment more than 135 years ago. Wharton believed the role of business was to advance society as a whole, creating new wealth and economic opportunity for all people. 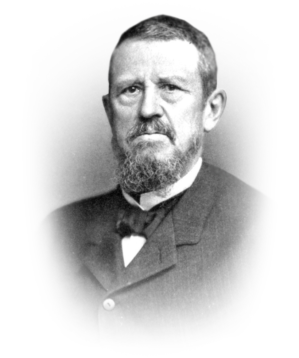 He approached the Trustees of the University of Pennsylvania in 1880 to establish a new kind of institution specifically designed to prepare leaders for business and public service. His bold suggestion was remarkably prescient. With the admission in 1881 of the first class of students — just 13 undergraduates — Joseph Wharton and the University of Pennsylvania created a successful formula that forever changed the landscape of business and education.